German rabbi; born 1772; died July 4, 1839, at Bingen-on-the-Rhine. According to the archives of Mayence, he and his brother Löb were rabbis of Mayence in 1808. From 1809 to 1821 Nathan was director of the Talmud school at Hamburg; and from 1821 till his death,rabbi at Bingen (see Löwenstein, "Geschichte der Juden in der Kurpfalz," p. 172, note 2). 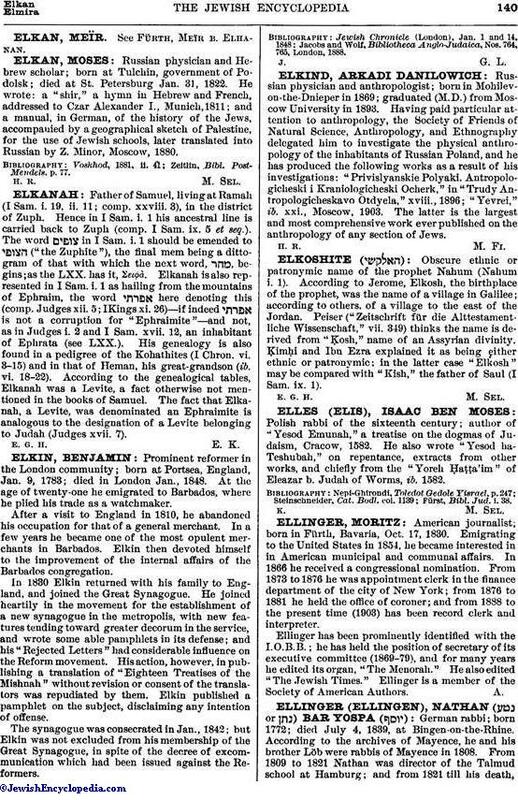 Several Talmudic manuscripts written by Ellinger are in the Bodleian Library, Oxford (Neubauer, "Cat. Bodl. Hebr. MSS." Nos. 528-532, 862, 966). In the Memorbuch of the community of Bingen (No. 673) he is called "ha-ḳadosh weha-ṭahor," although otherwise only martyrs are mentioned as ḳadosh. 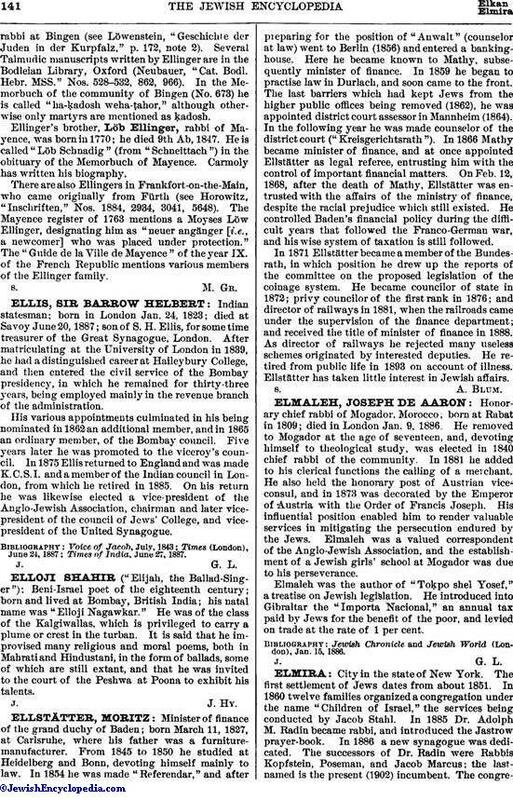 Ellinger's brother, Löb Ellinger, rabbi of Mayence, was born in 1770; he died 9th Ab, 1847. He is called "Löb Schnadig" (from "Schneittach") in the obituary of the Memorbuch of Mayence. Carmoly has written his biography. There are also Ellingers in Frankfort-on-the-Main, who came originally from Fürth. (see Horowitz, "Inschriften," Nos. 1884, 2934, 3041, 5648). The Mayence register of 1763 mentions a Moyses Löw Ellinger, designating him as "neuer angänger [i.e., a newcomer] who was placed under protection." The "Guide de la Ville de Mayence" of the year IX. of the French Republic mentions various members of the Ellinger family.